1888 – Mary Jane Kelly, last known Jack the Ripper victim. 1881 – Edwin Drake, Father of the oil industry, drilled the first oil well. 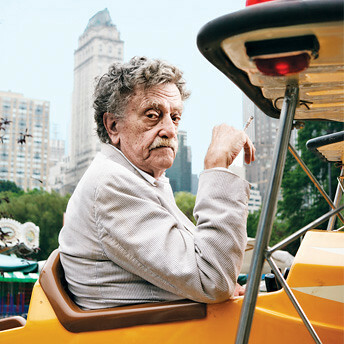 Kurt Vonnegut’s dark comic talent and urgent moral vision in novels like “Slaughterhouse-Five,” “Cat’s Cradle” and “God Bless You, Mr. Rosewater” caught the temper of his times and the imagination of a generation, died last night in Manhattan. He was 84. Over the years, I have have read many of Vonnegut’s novels. I have enjoyed them all for their “dark comic” sensibilities and their underlying “moral tones,” and I am deeply saddened that we will not have another one to read and enjoy (unless, of course, there are unpublished manuscripts laying around – which is very often the case with authors who die nowadays; so maybe I don’t have to be sad after all: in fact, I can look forward to their eventual publication and placement on the various shelves of my library; which, by the way, is spread out all over my house – in it’s various rooms – with no discernable order, rhyme or reason to the shelving scheme).